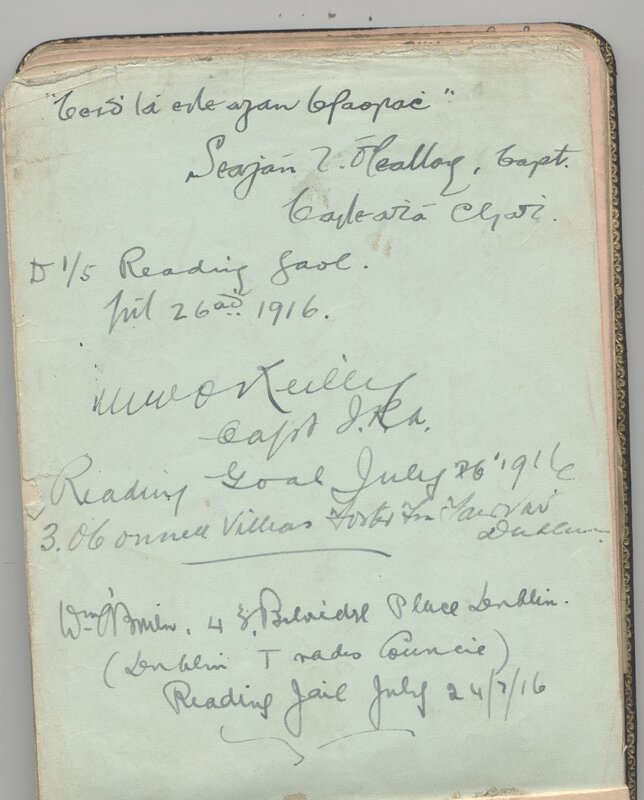 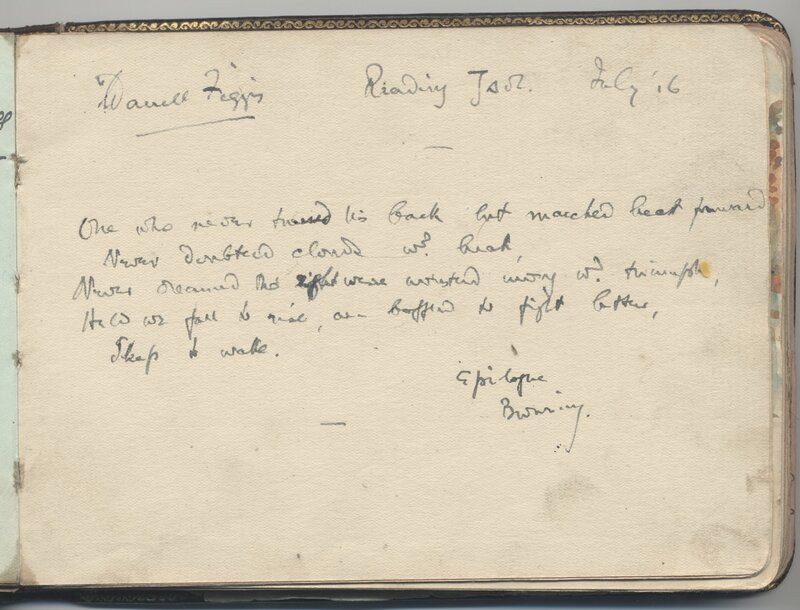 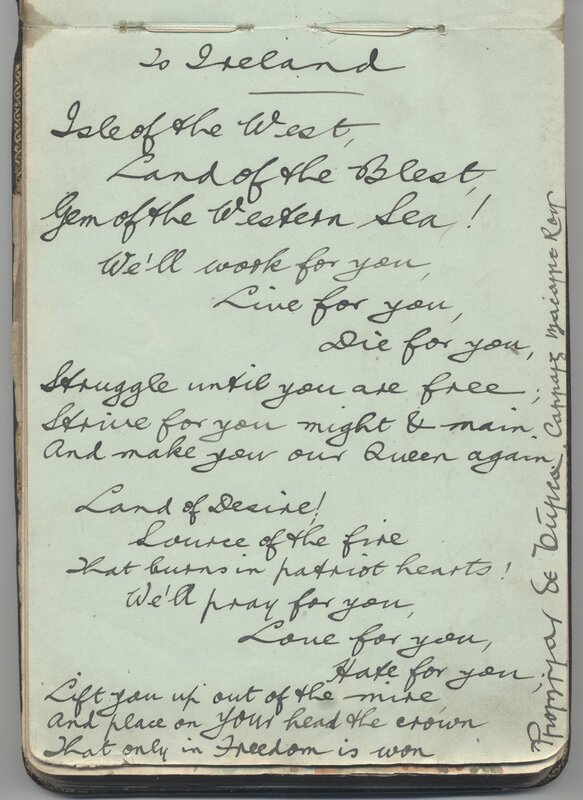 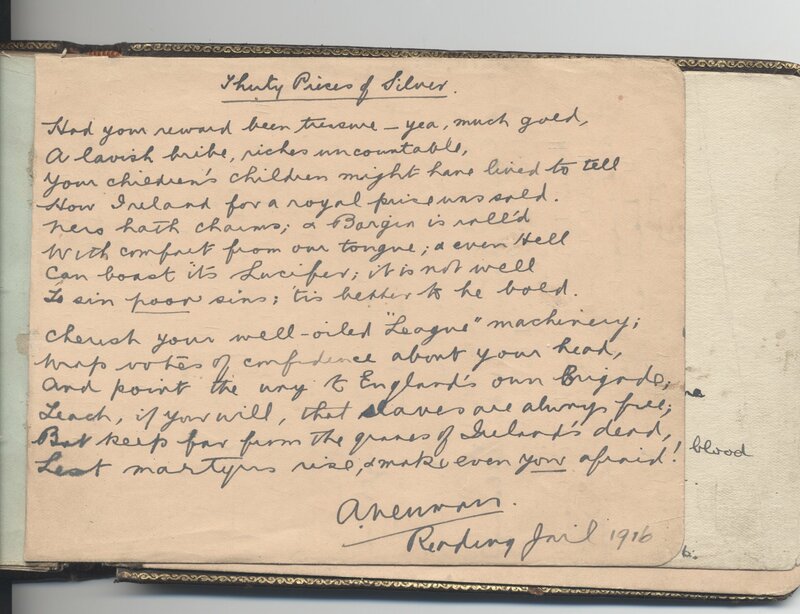 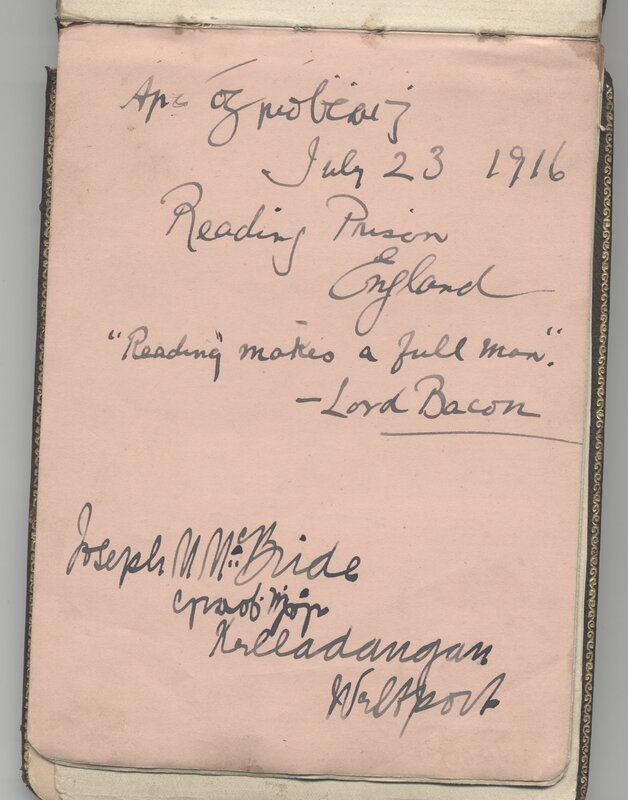 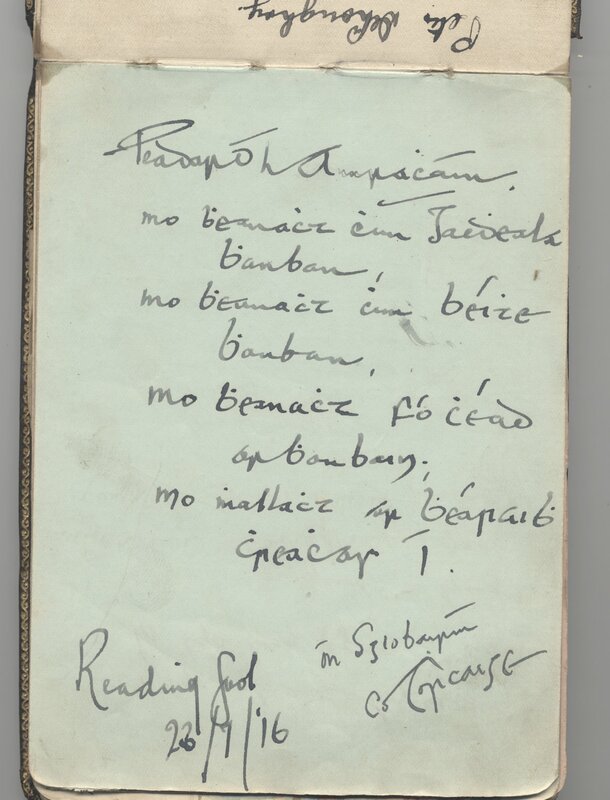 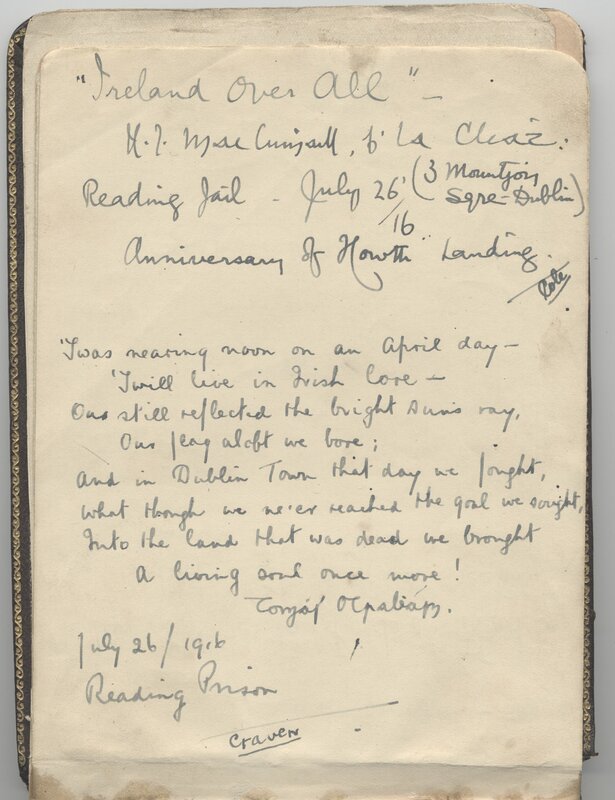 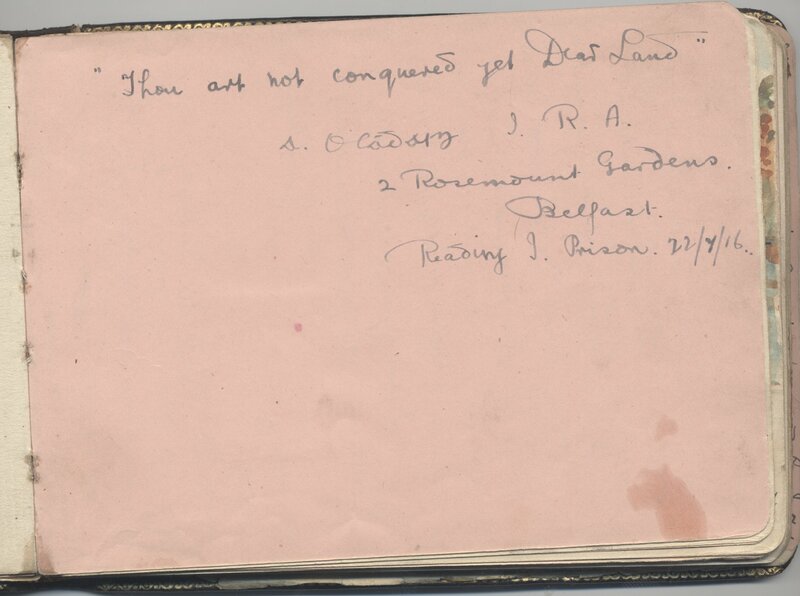 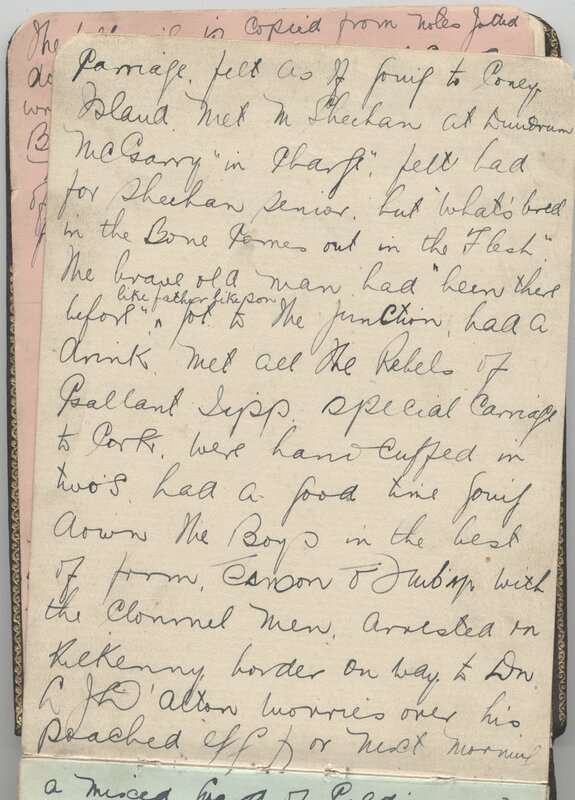 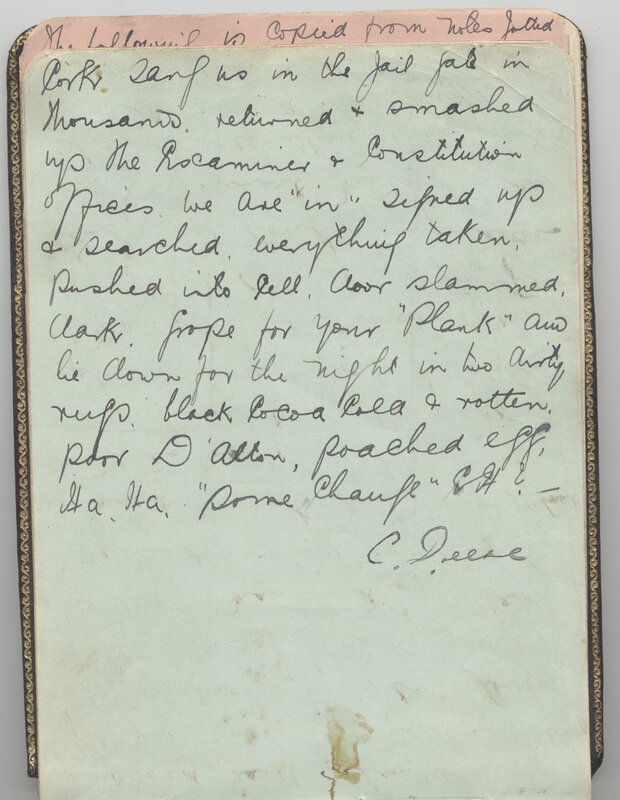 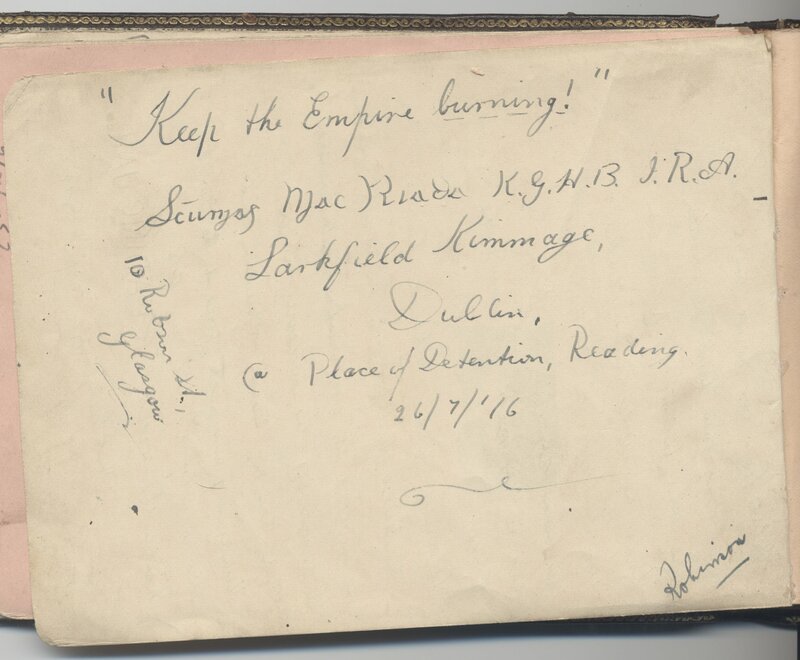 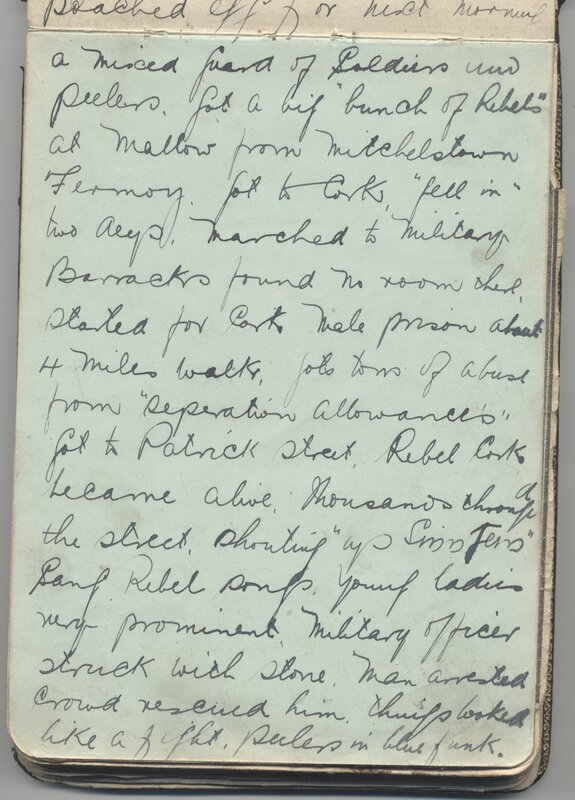 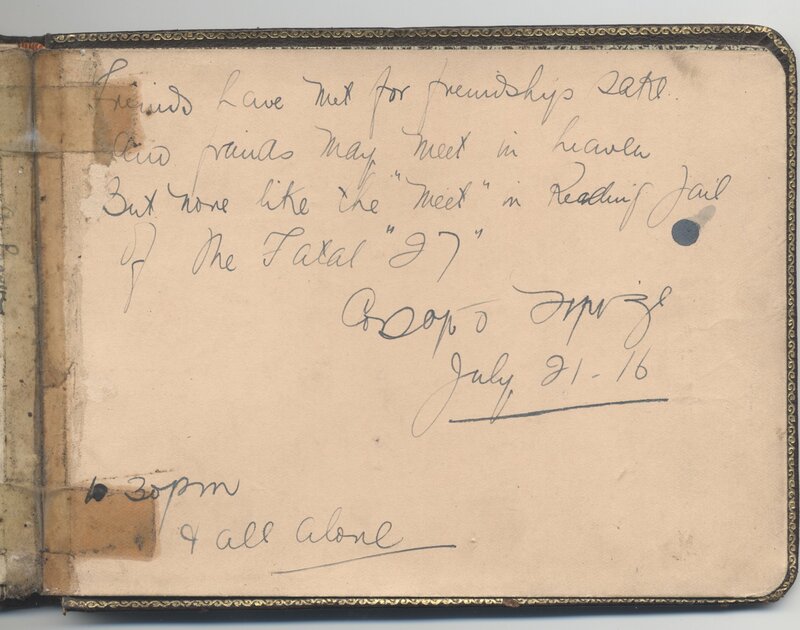 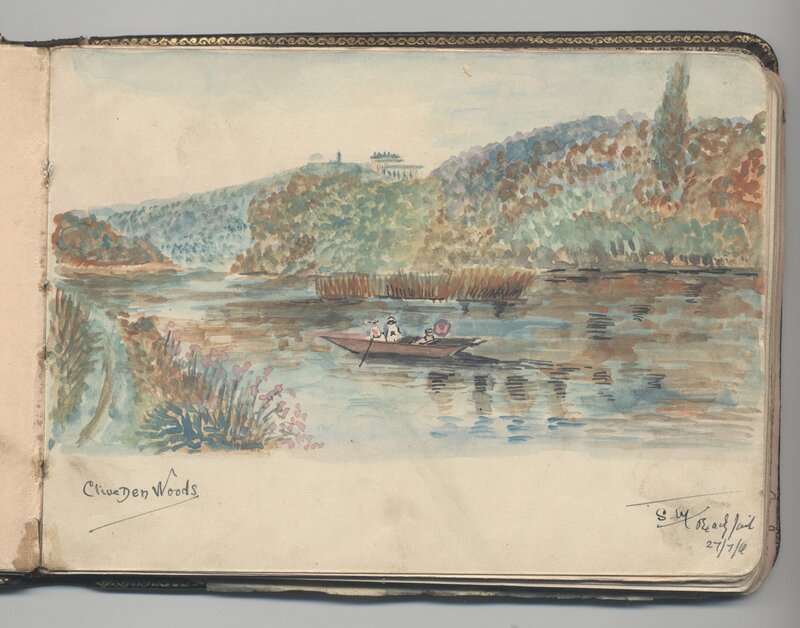 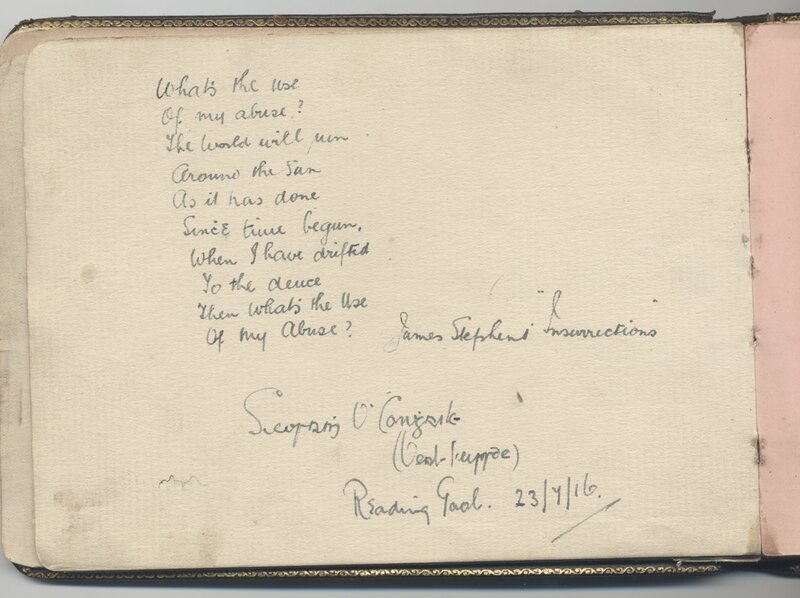 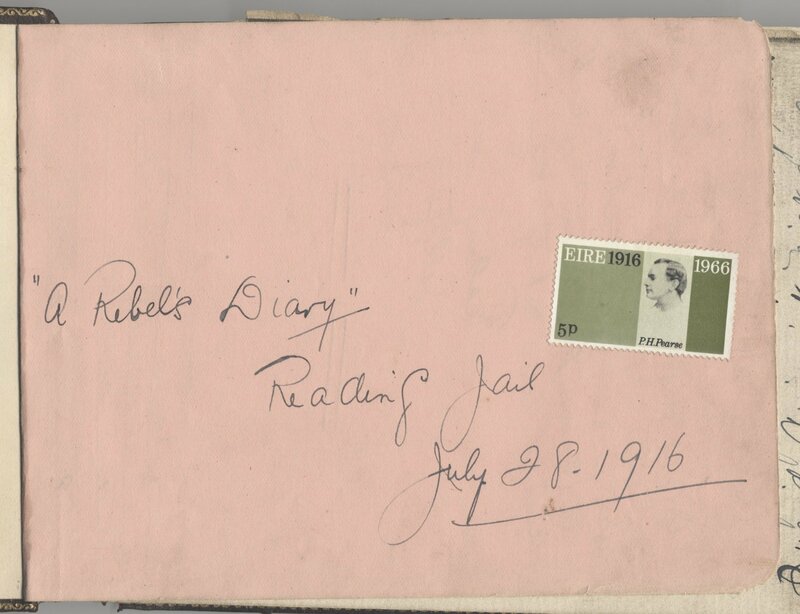 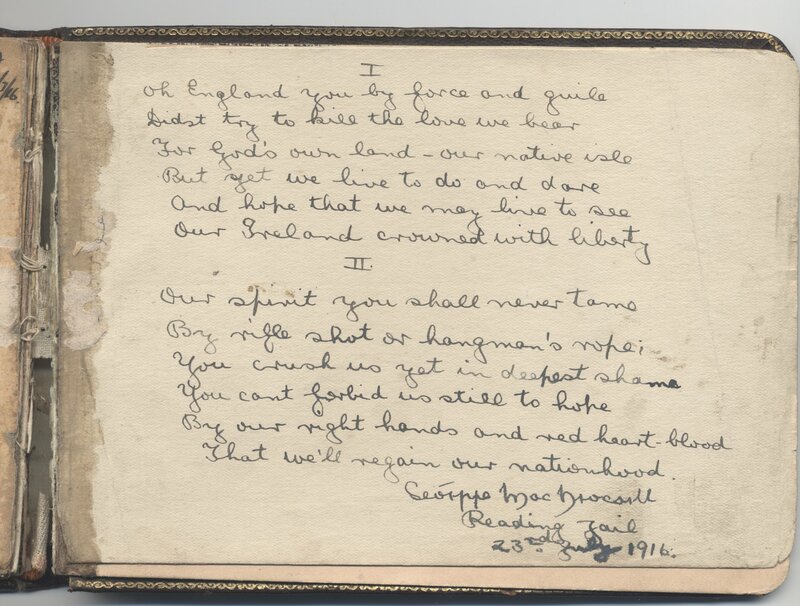 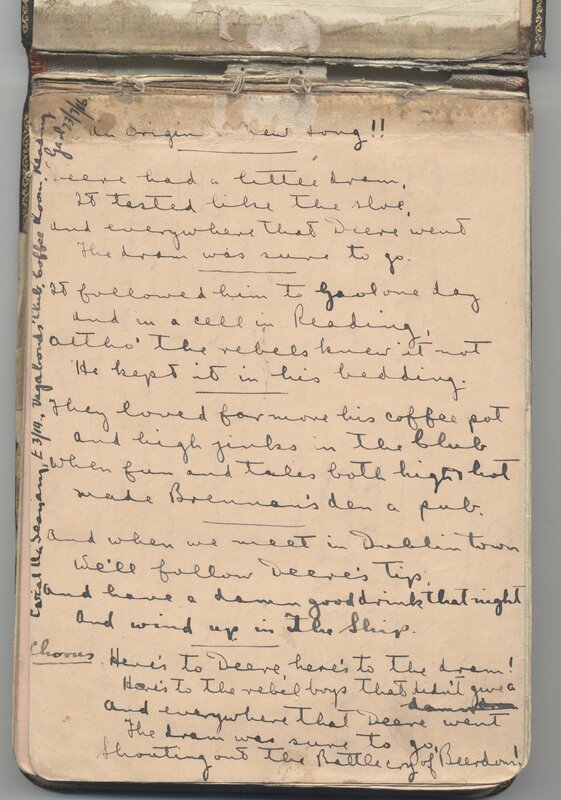 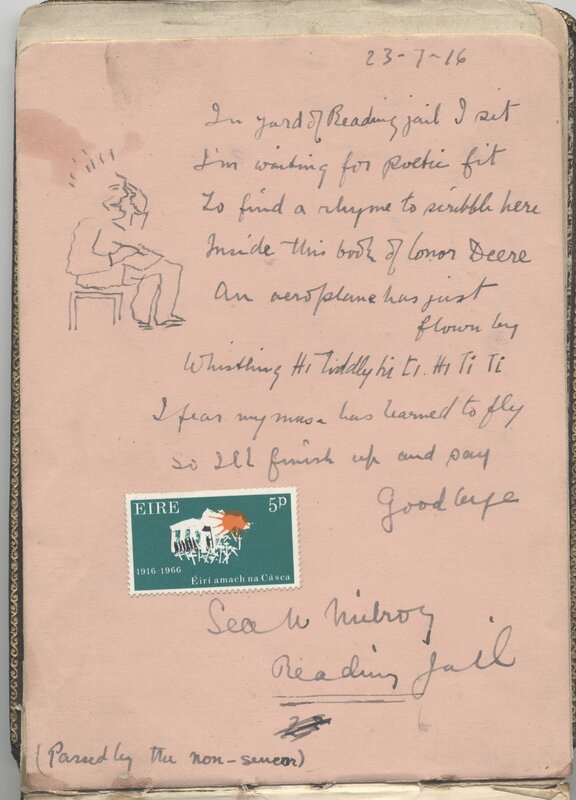 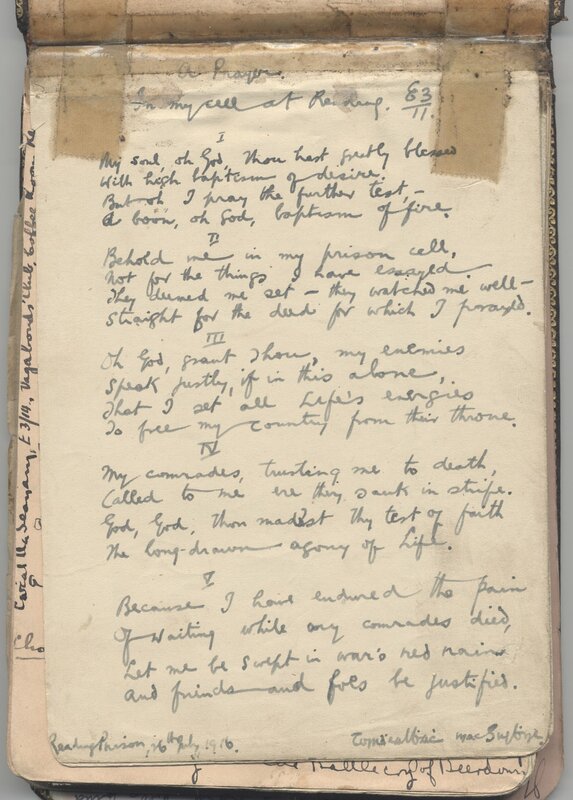 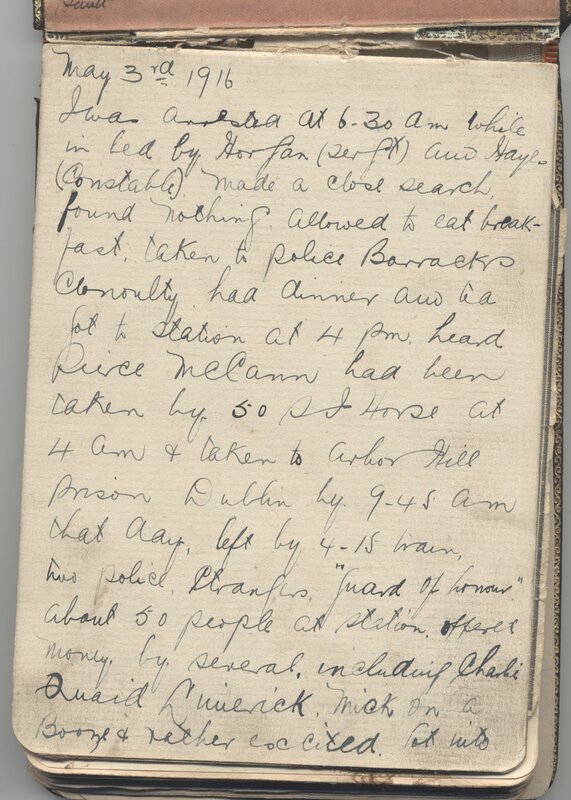 ﻿ A Rebel's Diary, Autograph book from Reading Jail 1916. 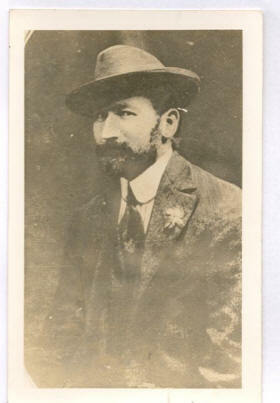 Con Deer , seen above, was a veteran of the volunteer movement in 1916 ( receiving a pension and medal but not signing the Roll Of Honour as he was arrested early in the week). 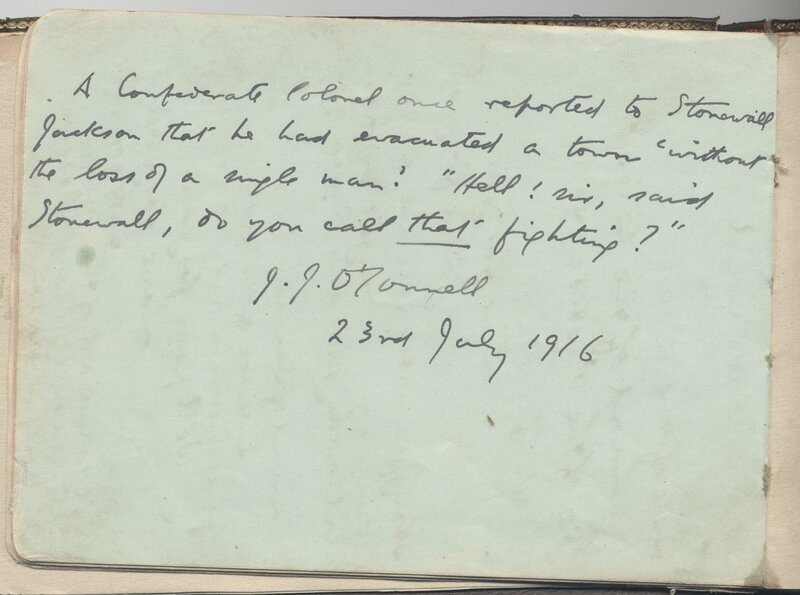 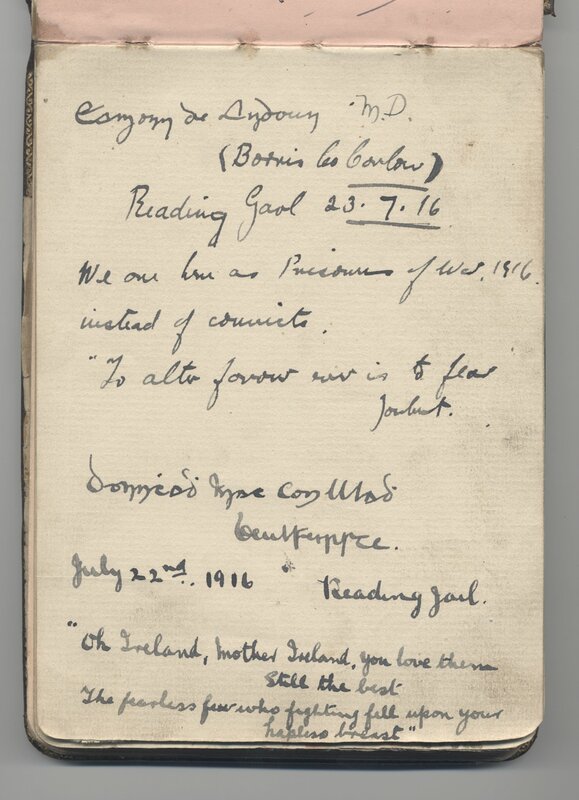 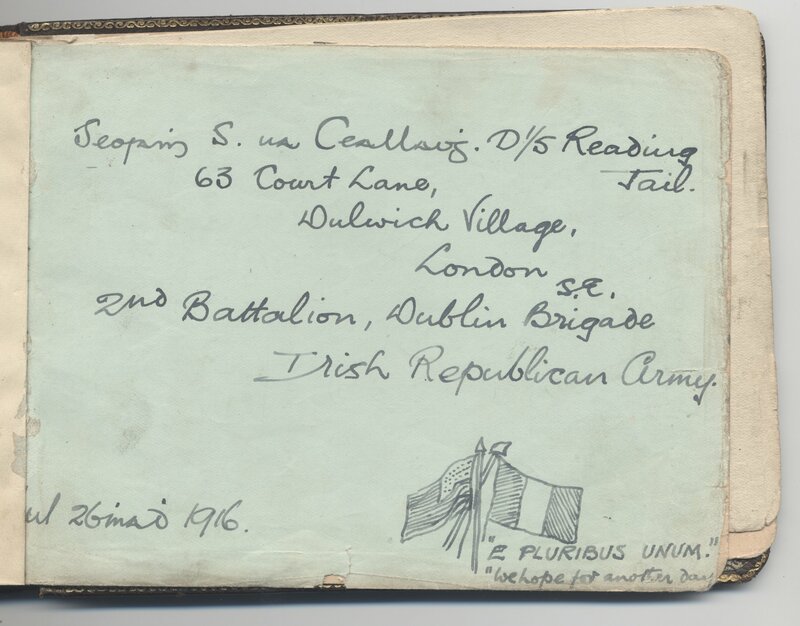 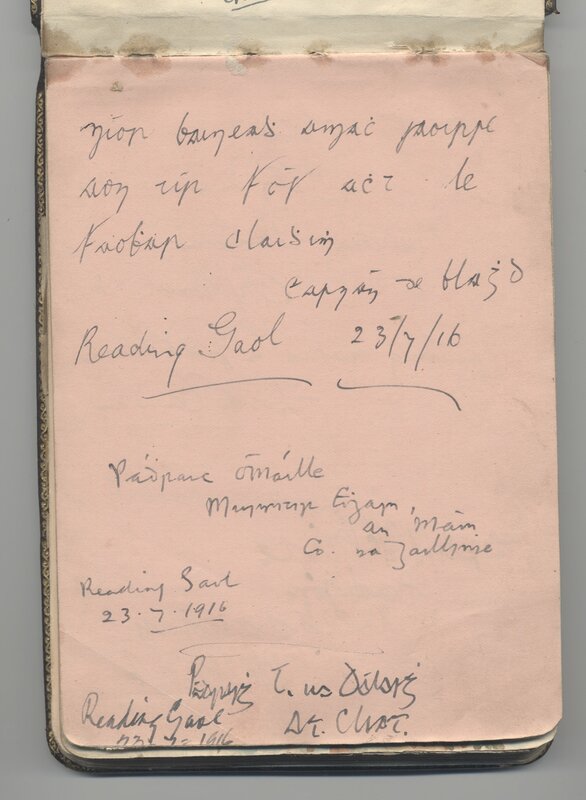 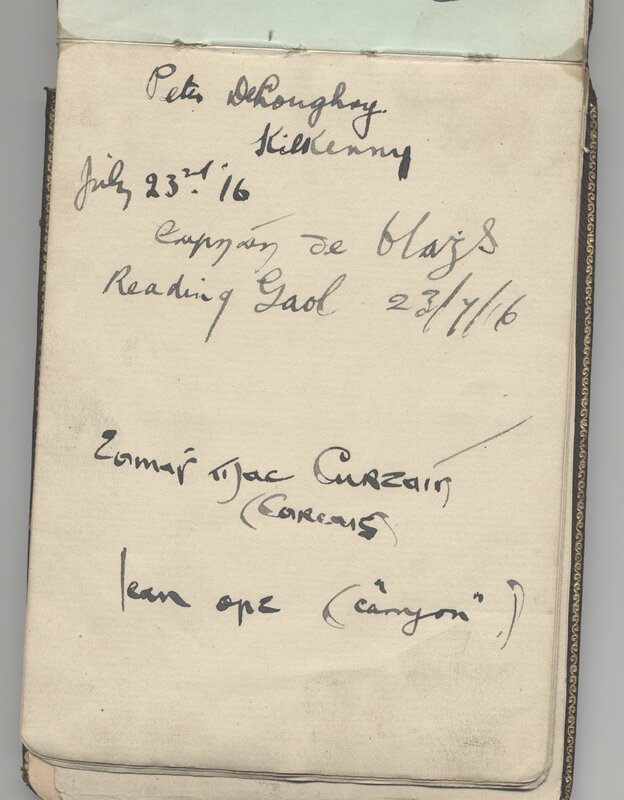 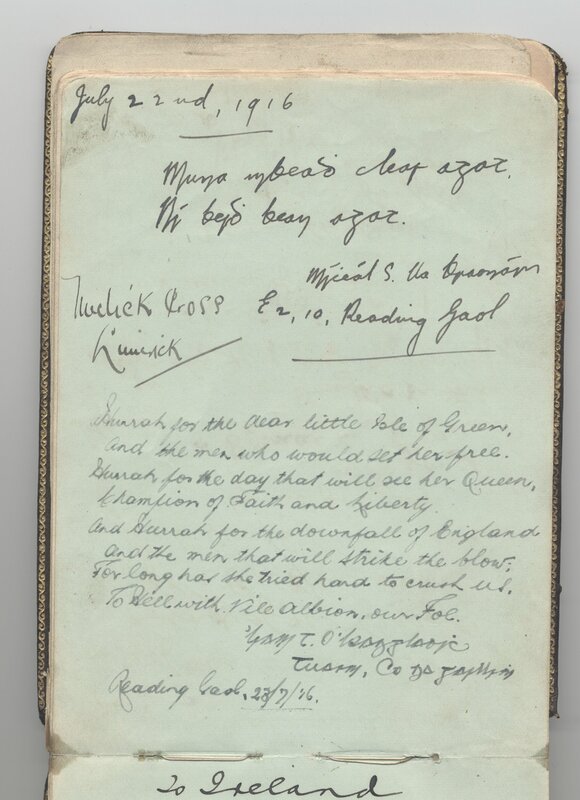 He was a lieutenant of the General Council of Frongoch "The University o Republicanism" He was interned in Reading in July 1916 and his diary / autograph book is shown below. 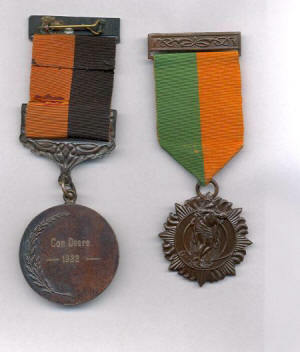 He is seen on the left fourth from the front wearing his Comrac medal (shown above also with his 1916 medal, both privately named). 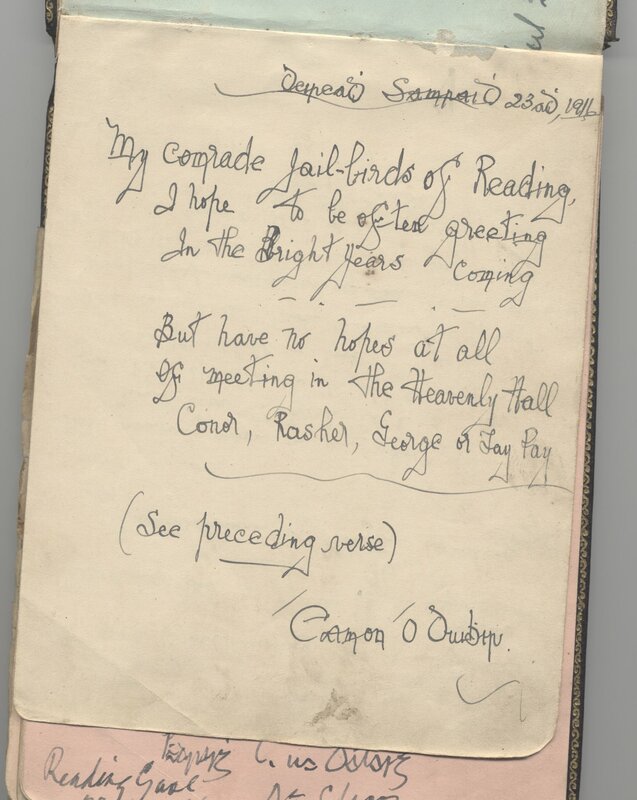 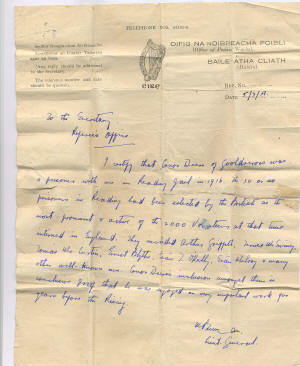 I certify that Conor Deere of Gooldecross was a prisoner with me in Reading Jail in 1916. 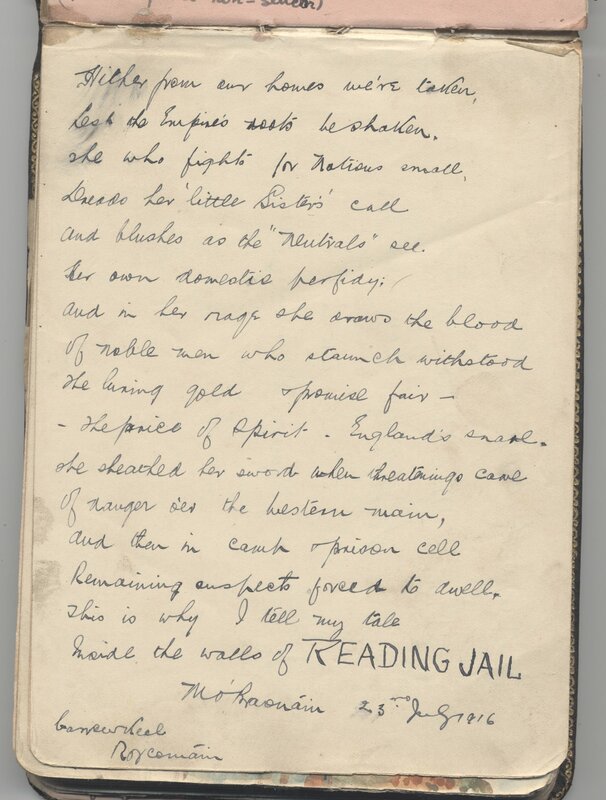 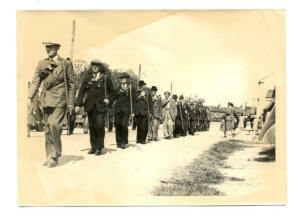 The 30 or so prisoners in Reading had been selected by the British as the most prominent and active of the 2000 volunteers at that time interned in England They included Arthur Griffith, Terrence McSwiney , Thomas McCurtain , Ernest Blyth , Sean T O'Kelly, Sean Milroy and many more other well known men. 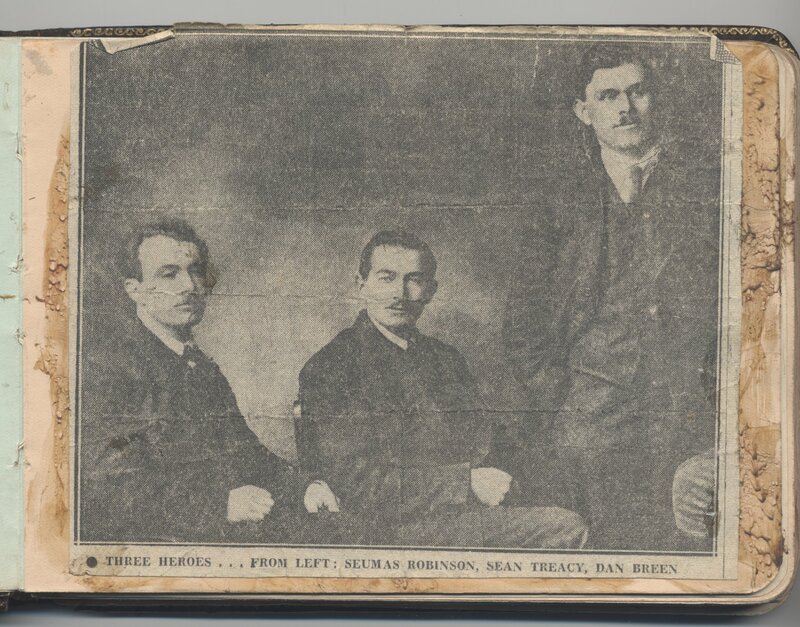 Conor Deere's inclusion amongst them is conclusive proof that he was employed on very important work for years before the Rising.